In the male division, Ruel Suazo took the top spot of the podium as the 21K male winner with the time of 01:13:23. Alley Quisay (01:15:49) followed in second place, while Nimrod Cesar (01:19:26) finished in third. 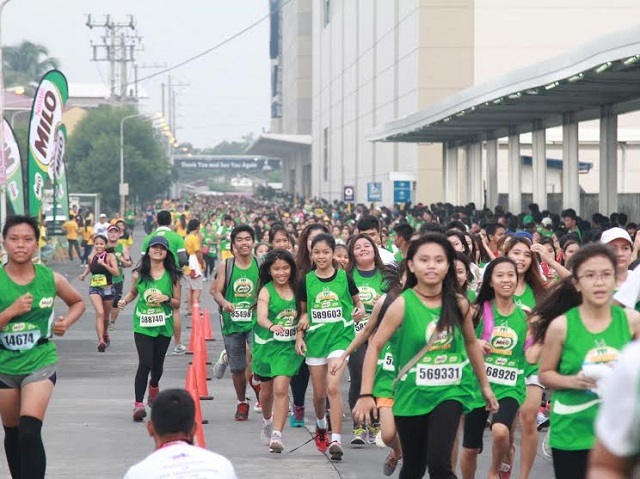 MILO Marathon regular Suazo was last year’s third placer in the National Finals of the 2014 National MILO Marathon. Both Delos Santos and Suazo have secured their slots in the National Finals, and each took home the top prize of P10,000 in cash and a trophy. Both will go head-to-head with the country’s best runners at the National Finals in Angeles on December 6, where the MILO Marathon King and Queen titles are up for grabs. This year’s King and Queen will be sent by MILO to the USA on all-expense paid trips, for a chance to run in the prestigious 2016 Boston Marathon. Despite the last-minute registration, Delos Santos made the finish line comfortably by out-speeding her closest pursuers. “I was in the lead since the gun start,” she said. “I kept my pace with the male runners but I managed to finish first pretty well.” With only four months to prepare, Delos Santos has been making rounds in training for the National Finals. “My coach, Roy Vence, and I are solely focused on the National Finals. We now are starting with our routines and work-outs. I believe this is a good start and hopefully I will be free from injuries until the race day,” she said. 23-year-old Suazo, on the other hand, was only expecting to place on the top three spots for this race. “I got injured from a race last month so I was not confident to win the big prize,” he said. Despite the injury, the Laguna State Polytechnic University alumnus propelled and led the pack in the last 12KM of the race. “I had minimal training because of my foot injury, but I am glad I was able to run and win,” he said. The race will resume in Iloilo (September 20), before heading to Bacolod (September 27), Tagbilaran (October 4), Cebu (October 11), General Santos (October 18), Davao (November 8), Butuan (November 15), and Cagayan De Oro (November 22). The National Finals will be held on December 6 in Angeles, Pampanga.